Improperly insulating your home can cause all kinds of problems down the line, including loss of money. 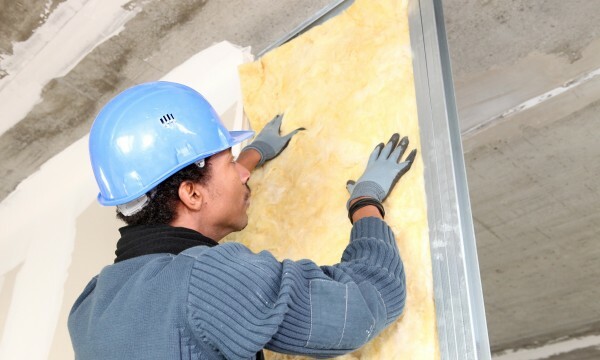 Here's how to know what type of insulation suits your needs the best. Insulation helps keep heat inside in winter and outside in summer. Because hot air rises, the most important place to have insulation is your attic. If it is accessible and doesn't have a floor, installing insulation — or adding more — is an easy job. Installing insulation in walls is also easy if you are remodelling and replacing the interior wallboard or exterior siding. But if you want to insulate intact walls, your only choice is to have an insulation contractor blow loose-fill insulation into the wall cavities through small holes bored in your house's exterior; the holes are patched when the job is completed. If your house has an enclosed crawl space, an insulation contractor may recommend that you insulate the interior foundation walls, which is often easier to do and more effective than putting insulation between the floor joists. But if you have an unheated basement or an open crawl space, it's necessary to put insulation between the joists. The walls in older homes often are not insulated. But it's not always easy to tell if they are insulated. A good place to start is the attic. If it isn't insulated, your walls probably aren't insulated either. The easiest way to check the walls themselves is to remove the cover plate on an electrical receptacle on each exterior wall and carefully inspect around the edges for signs of insulation. If necessary, remove a piece of trim around a window or door to get a better look inside the wall. If the walls have been retroactively filled with blown-in insulation, you should be able to see traces of the plugs used to fill the holes near the top of the exterior siding. If you find insulation in one wall, that doesn't necessarily mean that all of the walls are insulated. 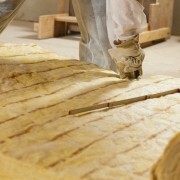 A previous owner may have insulated only the north-facing walls, for example, or never completed an insulation project. 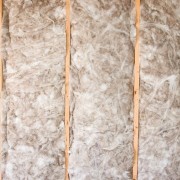 Several types of insulation are available at home centres for do-it-yourselfers. 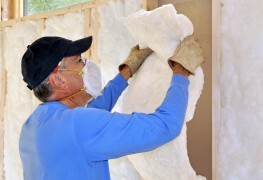 Professional insulation contractors offer more options, but some need specialized equipment to install. 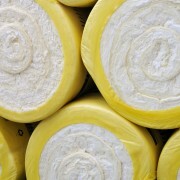 Fibreglass or rock wool. The most popular type of insulation is blankets or batts of fibreglass or rock wool, which fit between wall studs and ceiling joists. The glass fibres used in traditional fibreglass batts are straight and can be uncomfortable to work with. Newly available fibreglass batts use a fibre that is formed with a random twist. The result is a cotton-like insulation that for most people causes no itch or irritation. Loose-fill insulation. Another common type is loose-fill insulation, which can be easily poured between ceiling joists. It also is the kind of insulation blown into wall cavities by a contractor when you have an older home's finished walls retroactively insulated. 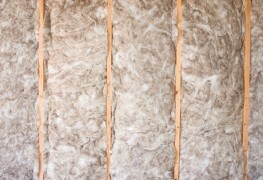 Cellulose is a popular form of loose-fill insulation. Made from recycled newspaper and wood fibres and treated with a flame retardant, it is recommended for insulating hard-to-reach areas. Loose-fill fibreglass and rock wool are also effective. Plastic foam. A less common type of insulation is rigid panels of plastic foam, which are used on basement walls and under exterior siding during home construction or re-siding. 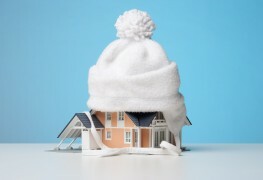 Following these basic guidelines will help you choose the right insulation for your home.